We do not have a ‘blow by blow’ report, but sadly the ORs lost to the School this year. The ORs team consisted of:- Luke Palmer (captain), Chris Ross, Andrew Signorell, Jeff Hurrell, Ross Howells, James Williams, Reece Heatley, Jim Shoobridge, Jim Calcutt and Mark Lewis. We were loaned a player by the school to make up the numbers. 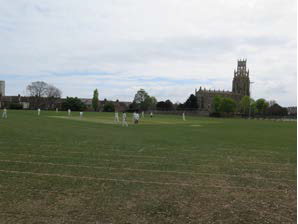 Mark Lewis is finalizing a game for Friday 17th August with the OR team playing Alexandra Park CC (11.30am start).